Wings and Winter Home Brew, Bennington – Top Ten Winter event. Sample and vote on local beers, ciders, and mead and wings. Vermont Maple Open House Weekend – Visit the Sugar Houses in The Shires for this sweet Vermont treat. Celebration of Peonies at Hildene, The Lincoln Family Home, Manchester – Thousands of fragrant flamboyant peony blooms, heirloom and new in the Lincoln family’s formal garden. Vermont Summer Festival Horse Show, Manchester – Celebrating its 23rd year as Vermont’s premier hunter/jumper event. 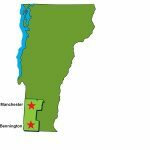 Bennington Arts Weekend – The crowning jewel of this annual event is the Southern Vermont Art and Craft Festival. Manchester Annual Sidewalk Sales – Enjoy the biggest discounts of the season at World-class designer outlets and unique, independent retailers. 12th Annual Fly-Fishing Festival, Manchester- Showcasing the joy of fly fishing with vendors, demonstrations, and a gathering of people who are all equally enthused about the sport. Green Mountain Bluegrass Festival, Manchester – Bluegrass, roots and Americana music. Main stage, dance tent, food trucks, VT beer and wine in a magical Green Mountain setting! Garlic Fest, Bennington – Join garlic lovers from throughout New England to sample food and crafts from hundreds of different vendors all made from garlic and herbs. Peru Fair, Peru – An old-fashioned country fair and fun for everyone! Manchester Fall Arts Festival – Over 100 talented artists and artisans from throughout New England displaying their works under large heated tents. Celebrate the Season in The Shires – Tree lightings, music events, inn tours, wine and beer tastings, horse and wagon rides, bookstore events and museum happenings.